Viruses appear in your syllabus in a section entitled “Variety of Living Organisms”. This is rather unfortunate because of course viruses are not classified as living organisms at all. The reason they are not alive is simple: they are not made of cells and they are incapable of carrying out any metabolic reactions. 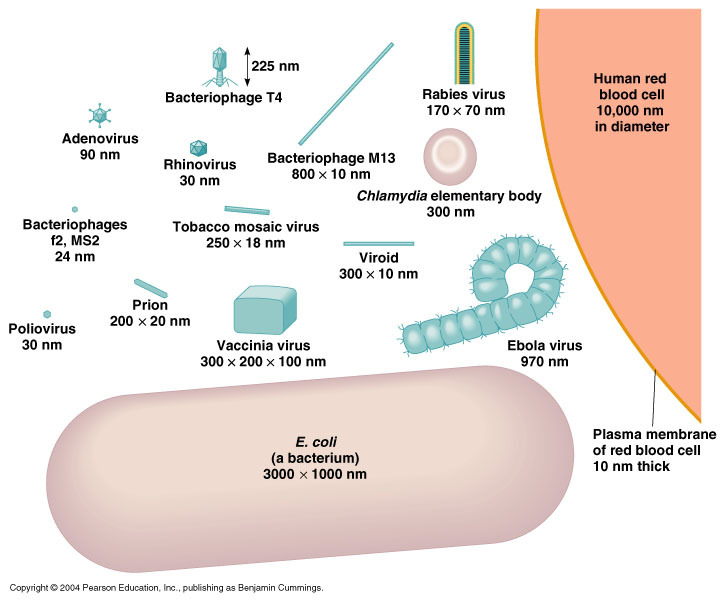 Viruses are much smaller than any cell, even very small prokaryotic cells such as bacteria. 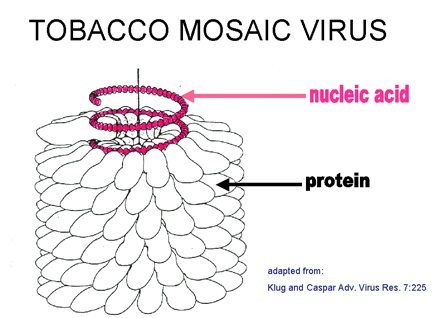 All viruses are parasitic as they have to infect a living cell in order to reproduce. What are viruses made of? Well remember viruses are not made of cells. The individual virus particles are called virions and are simply made up of a protein coat (called a capsid) that encloses some genetic material. The genetic material in a virion can either be DNA or a similar molecule called RNA. Viruses can infect all different kinds of living organisms. 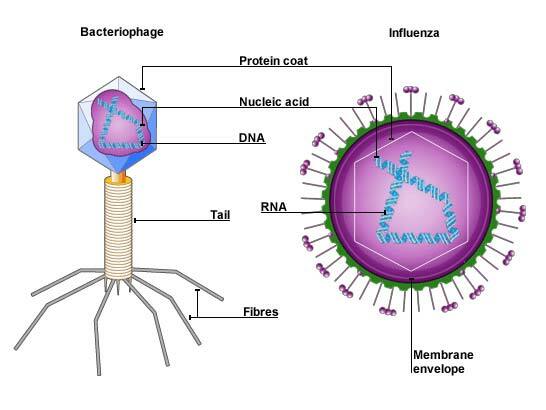 The virus on the left in the diagram above is called a bacteriophage and it infects bacterial cells. You can see the protein coat is arranged into a head, tail and fibres and the genetic material in a bacteriophage is DNA. 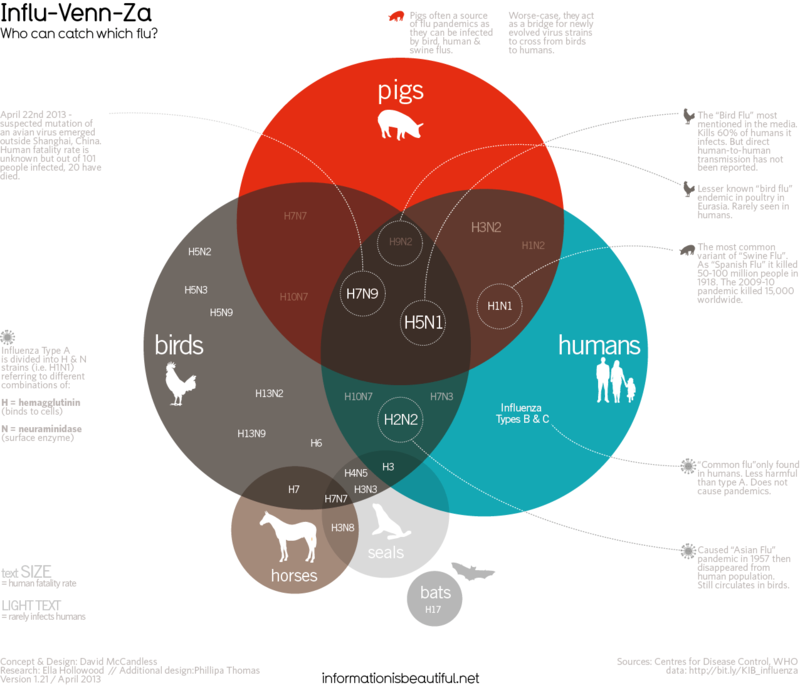 The virus on the right is the Influenza virus that infects mammals and birds, causing the disease influenza or “flu”. 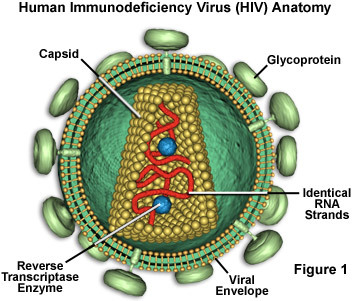 Influenza virus is an RNA virus. Some viruses infect and cause disease in plants. 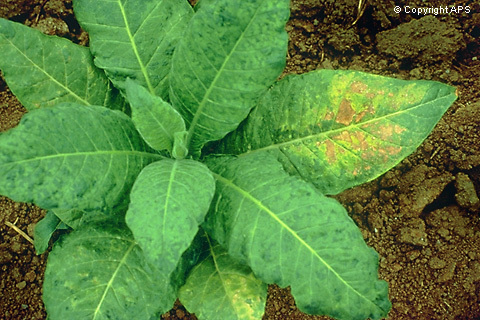 Tobacco Mosaic Virus infects tobacco plants causing yellow leaves as chloroplasts are not formed correctly in the leaves. Virus can cause disease in a whole variety of different organisms – animals, plants, bacteria etc.